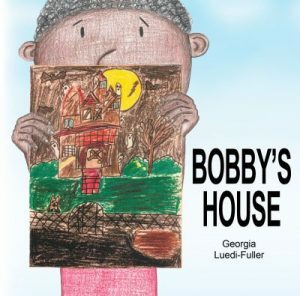 That’s because “Bobby’s House” is a rhyming children’s book written by Georgia Luedi-Fuller with colorful illustrations throughout by Georgia’s talented daughters Sophie and Naomi Luedi. Credit for the cover illustration, meanwhile, goes to Yoselin Hernandez, a student at Smyrna Elementary School in Smyrna, Georgia, who won a contest run by art teacher Sherryl Lane for the honor. Georgia’s mother, Linda Fuller, served as the primary editor of the story. The paperback’sproceeds benefiting The Fuller Center for Housing’s work of partnering with families around the world to help them have simple, decent places to live. You can order your copy from Amazon at this link ($12.75 plus tax and shipping (shipping is free for Prime members. Or you can order directly from The Fuller Center for Housing at this link for $15 total, including shipping and handling. While the book was officially published this past Monday, Georgia first put pen to paper about 20 years ago while living in a quaint farmhouse in Switzerland. However, the true origins of “Bobby’s House” date all the way back to her own fourth-grade school days at Americus, Georgia’s Cherokee Elementary School. It was there that she encountered a boy she considered a bully. When that little boy’s family moved into a new house with the help of the affordable housing ministry her parents Millard and Linda Fuller started, he was utterly transformed … for the better. Perhaps that little boy might even recognize himself in her new book, for it follows a similar pattern. It was not just an assemblage of sentences based upon memories. She added flair by infusing it with rhythm and rhyme. As Georgia went on to build a family with her husband Manfred and home-schooled her children, “Bobby’s House” became an afterthought. While she thought the story was worth sharing, the joyous chaos of building a family took precedence over the details and minutiae of book production. Nearly two decades after she first began the story, though, something happened that hammered home just how important it was to have a good home and ultimately brought “Bobby’s House” off the shelf. 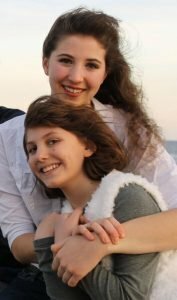 Georgia and other family members began to come down with unexplained sicknesses before a mold infestation was discovered in their Jacksonville, Florida home. For two years the family was displaced and often spread apart as the house was gutted and repaired. They are back in the home now, but the work continues. Having been raised by parents who literally changed millions of lives through their affordable housing ministries, Georgia has always cared about helping people have simple, decent places to live. But her own family’s housing crisis put the issue in a whole new light — and eventually inspired her to give “Bobby’s House” another look. “It’s the first time that I’ve experienced being on that end of the spectrum — instead of volunteering to help someone in need to actually being the one in need of a decent place to live,” Georgia says. 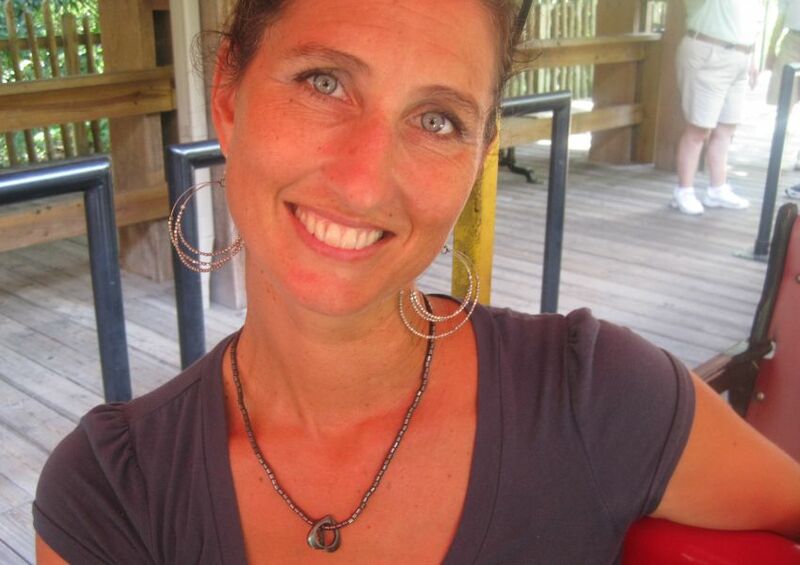 “I realized the devastating and crippling effects not having a good home can have. It hindered us in our productivity and activities and hurt our finances a lot. It just made everything more difficult. It really helped me understand what Dad was talking about when he spoke of how fundamental and foundational a good house is to someone’s well-being and success in life. Georgia with daughters Jasmine (left) and Sophie, and mom Linda Fuller on a Fuller Center job site in 2014. That is one of the reasons she wants all proceeds to benefit The Fuller Center for Housing, the ministry her parents founded in 2005 as a return to the grass-roots, Christian principles that were inspired by theologian Clarence Jordan at historic Koinonia Farm and then honed by the Fullers themselves from 1973-76 in Zaire before they brought the successful concept back to the United States in 1976. While her parents inspired her faith and charitable efforts, it was her dad who especially inspired the imagination through his stories. Throughout his life, Millard captivated crowds and congregants alike with his unbridled enthusiasm and deep faith sprinkled with Southern drawl, charm and humor. The Fuller children, though, heard stories from him that no one else did. Those creative and storytelling genes continue to get passed down and are visible throughout “Bobby’s House.” Georgia instinctively relied on her mother Linda to serve as editor, but finding an illustrator was a tougher task. “One of the reasons it took so long to get this book out is I could never find an illustrator,” Georgia says. “I’d tried a couple of different routes, and nothing quite ever worked. And I certainly didn’t feel qualified — I love art, but I wasn’t qualified to do those kinds of illustrations and didn’t even try. It just ended up being an epiphany that I could get Sophie to illustrate them, and it would be so meaningful to have her do it since I was pregnant with her when I was writing the book. I was amazed by her ability. Yoselin Henandez won a contest to get her illustration on the “Bobby’s House” cover. It also has been a teachable moment for the family. “Another motivation to finish the book after all these years was to live what I’ve been preaching to our kids about finishing what they start,” Georgia says. Georgia’s new motivation is to get the book in the hands of as many children as possible. She would love to see funds from the sales support many Fuller Center projects, but more so she believes it’s an inspiring and educational story that children need to hear — perhaps now more than ever before, including the days to which the story traces its roots.